We Watch Stuff is back and Jeremy and Shahid are at the controls. Yes the cast you know and love talk at you about all things Night of Champions. But first they have to complain about their respective NFL teams. Who has given up on the season already? Will someone’s eternal optimism shine through and hope will raise his spirits despite a bad offensive line? The talk moves on to The Night of Champions event. Was this a bad show or just a middle of the road? Is a middle of the road show even acceptable now? 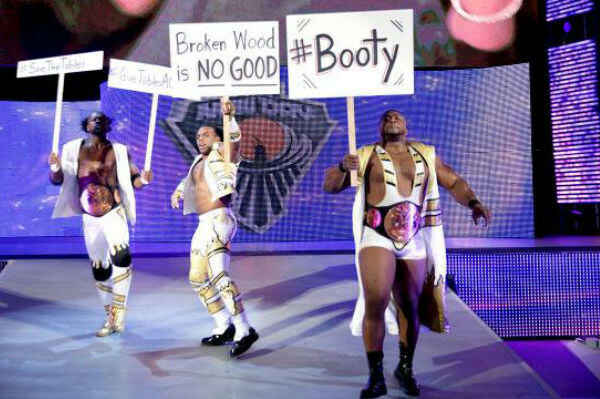 Are New Day a legitimate draw now despite WWE toeing the line between making them face or heel? How long will it be before fans turn on Charlotte for being the daughter of Ric Flair? The conversation also turns toward a person personality drawing them to a wrestler despite the fact they are a face or heel. How they got there is anyone’s guess but it is fun. There is a bunch more so get to downloading and have some fun.